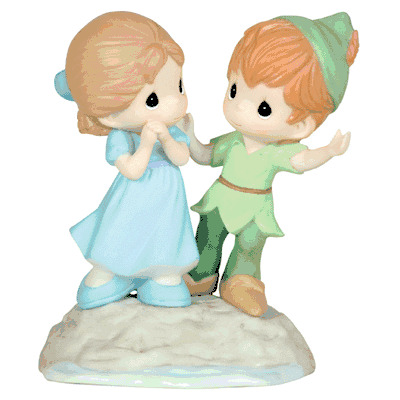 On their way to Neverland, Wendy and Peter Pan forge a lasting friendship. A lovely nod to Disney's tale of childhood enchantment, this piece is sure to make you feel forever young. Bisque porcelain figurine. 5 " H. Disney Showcase Collection. Item#: 104010 - Height: 5 "